What does it take to get a Private Label business up and running on Amazon? How do you know the best practices that will lead to success and where to even start? 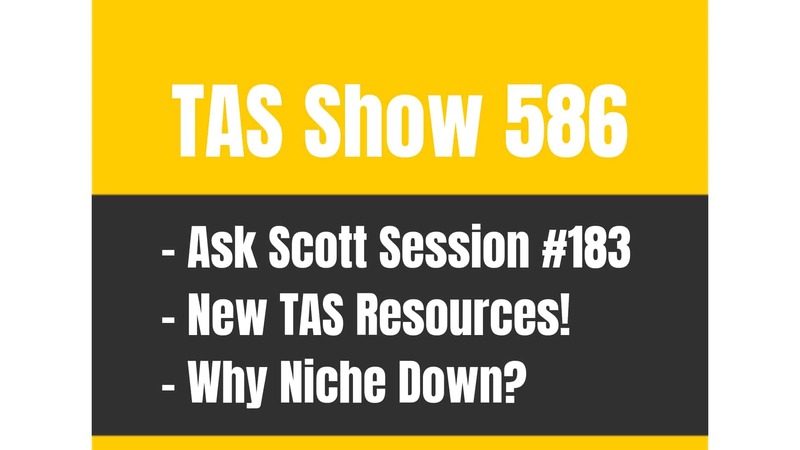 On this episode of The Amazing Seller, you’ll hear from Scott as he starts the first of a five-part series on how TAS followers like you can get your start as a Private Label Seller. You don’t want to miss a minute of this episode where Scott and Chris talk about how to start a “Touch list,” how to pick a product category that you’ll succeed in, why starting on Amazon is the best option, and so much more! Make sure to have pen and paper ready! With so many options out there in the marketplace, where do you even start to pick a product you should start selling in your Private Label business? On this episode of The Amazing Seller, you’ll hear from Scott and Chris as they explain how starting a “Touch list” can help you come up with a starting point toward finding your first product. The guys describe the touch list as creating a list of items around you right now that you are touching and then branch out to the items around you within reach. 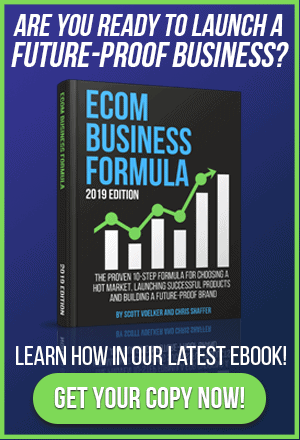 This simple exercise will help you pay attention to an easy beginning point of everyday products that you could start selling in your ecommerce business. To hear the guys expand on this touch list and much more, make sure to listen to this helpful episode! As prospective ecommerce sellers get ready to start their own small business, they often wonder if Amazon is the best channel to pour their time and energy into or if they should start selling on their own website first. 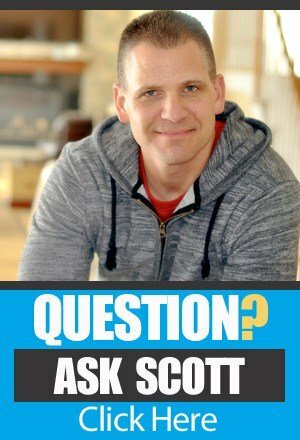 On this episode of The Amazing Seller, Scott and Chris explain why they remain convinced that starting on Amazon is the best way to get things off the ground. According to Chris, Amazon is the best option because it is so much easier than creating and drawing traffic to your own website. You can also gage the marketplace on Amazon more effectively to validate which products you should start selling. Make sure to listen to this episode as Scott and Chris expand on the reasons why you should get started selling on Amazon! What is holding you back from getting started on your journey toward owning a Private Label ecommerce business? Are you worried about getting all the details just right and removing all room for failure? If that’s the case, you’ll never start! Don’t let the prospect of failure keep you from ever getting started! On this episode of The Amazing Seller, you’ll hear from Scott and Chris as they do their best to motivate and encourage sellers like you who are just getting started. It’s not an easy path to take but both Scott and Chris will tell you, it’s totally worth it. To hear more from the guys about what it takes to get started, make sure to catch this episode! [3:00] Scott talks about the success of his new brand. [4:30] The first step to get started, create a touch list. [9:00] Chris talks about a story of finding an untapped product category. [13:30] Why should you start your ecommerce business utilizing Amazon? …this ‘Five step roadmap series to launch private label products on Amazon’ and I’m going to explain exactly what this all means. I have Chris Shaffer on who is also going to be here during this series and we are going to really walk through the five step roadmap that we are currently using, our students are currently using and people that are we are helping are currently using. Chris I get a lot of people that say, “Scott is this stuff that you talked about in the past still current?” And for the most part yes with some exceptions. That’s why I decided to do this five part series where we are actually going to break things down. So Chris how are things going? Are you excited to jump into the ‘five step roadmap’? [00:00:55] Chris: Man I am absolutely jacked up to jump into the ‘five step roadmap’ because this is something we get asked about all the time and even when we do our workshops and we do stuff like that, people are like, “Do you guys actually do this stuff?” And the answer is, “Absolutely yes” and these are the steps that we use and we’ve talked about this in the past, we’ve talked about it across different podcasts so what we are doing right now is we are sitting down and we are breaking it down in a series so that they are all in one place for people. If you and I were to select a product today this is where we would start and then we are going to walk our way through that process so this should be a lot of fun. [00:01:30] Scott: Yeah and I’m excited about it. We always have people that ask that question and that’s why I decided to do this especially leading into the New Year depending on when you are listening to this. I always do like to come back and then go through it. Now we do go through this exact five step roadmap in and during our workshops so if you are listening to this, doesn’t really matter when, you can always go to theamazingseller.com/workshop and this five step roadmap is pretty much all broken down in about 90 minutes. What we are going to do here in this series is we are going to break those five steps down. Now today what we are going to be doing is really giving the overview as far as what it takes, what we look at and really what to expect in this series. Now it’s funny Chris I get a lot of people that say, “Scott I’ve already products and I sometimes have to go back to the basics because sometimes I forget what I have to do to really find the product but then launch the product or just build out the brand and sometimes you need a refresher.” And this here can be that for you. So I know a lot of people that are listening maybe are already on their way but they have to come back and break things down and simplify things because we do get a little bit overwhelmed with all the information out there. And I get this question a lot too it’s like, “Well aren’t there like these different secrets and stuff that you guys are using or these different hacks that you guys are using?” And the answer is no. 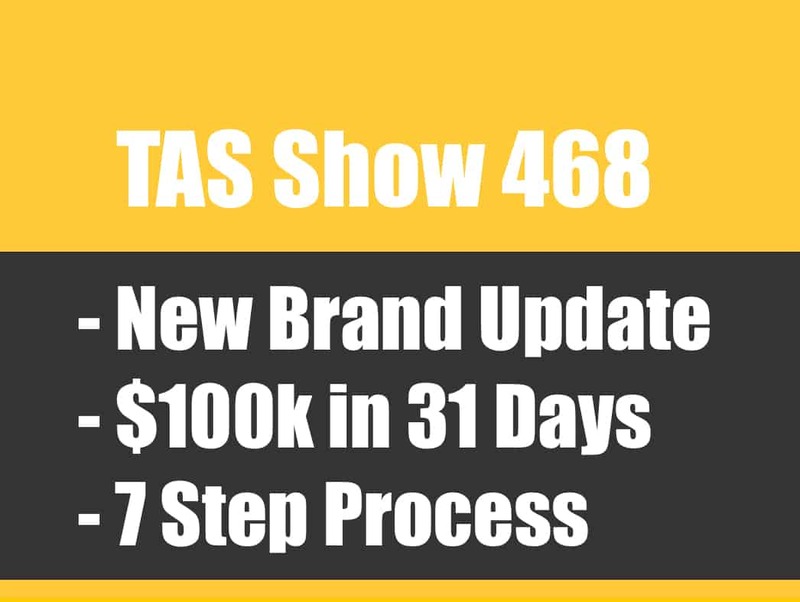 It really comes down to the five steps and in our new brand that we talk a lot about now which actually Chris I just pulled some numbers since we’ve launched that brand just seven months ago, we just hit $160,000 in revenue. [00:03:13] Scott: Now that’s a new brand and in the first few months it was pretty low maybe $8,000 for the first month and then maybe we went to $15,000. Right now we are consistently hitting between $30,000 and $35,000 and growing every single month. So it’s getting exciting but it’s exactly what we are doing here in the new brand and I just want to really just highlight that for people because people think that there is these special hacks or these secrets. We are doing everything white hat so this way here if we ever want to sell we don’t have to worry about that stuff. And I was just talking to Joe Valley the other day who actually does sell FBA businesses and ecommerce business and it’s exactly what he said. The minute you start playing around with grey hat, black hat stuff there is holes in your business and that can be stuff that you don’t want to do moving forward. Chris lets kick this thing off with really like, if you are starting from scratch like right now, what are we thinking to ourselves? Are we just going to go out there and find a product or a market and from there what is the first step? Let’s talk about that. [00:04:26] Chris: Well the first step Scott is to use all of these ninja tools that are out there, oh wait no. The first thing for me would be to take a look at the stuff that I’m touching on an everyday basis and you’ve heard me talk about this, you talk about this all the time. We harp on this but it cannot be understated, I would start with the touch list and a lot of our products, almost every product in the new brand came from a touch list. And it’s one of those things that’s just too simple to actually work except it does and it works consistently and it doesn’t just work for us. It works for a lot of the people in the TAS community and a lot of people in the private label classroom. If you guys aren’t familiar with the touch list, basically grab a pen and a paper, I would write it down you can do it on your phone you can do it wherever you want and as soon as your feet hit the floor you start writing down everything that you touch for a day. Now Scott I know the question that a lot of people are thinking right now is, “Aren’t I going to write down the same things that you and Scott and my wife and everybody else are writing down?” And the answer is to some extent yes most of us are going to grab a coffee cup or a tea cup, we are going to all grab the pen and paper but there is going to be a lot of things throughout the day that I touch that Scott doesn’t necessarily touch. Scott you don’t have a cat, I didn’t miss that? [00:05:40] Scott: I do not have a cat. [00:05:42] Chris: Right, I have a cat and a dog and a crusty gecko so even just on the pet stuff I touch a bunch of stuff on a daily basis that you wouldn’t touch but with the touch list the thing that a lot of people miss is it’s not just the stuff on that the list. It’s the stuff that the stuff on that list can lead you to. Does that make sense? [00:06:00] Scott: Yeah it does and I just want people to know too we are just scratching the surface here but I wanted to give you guys and Chris wants to give you something you can do to pull away from this overview of the five steps. We are going to be digging into this in the first part actually the first official part of the series which will be on the next podcast episode so that’s why you are going to go back or actually you are going to want to listen to these in sequential order alright? But what we are doing right now is we are just touching the surface. A lot of people think that you need those ninja tools. Now are tools going to help you? Yes, we are going to talk about that especially in the first part of this series in the next episode. We are going to talk about how we are using the tools and it’s not really how a lot of people are using the tools. A lot of people are using the tools to find the products. We are not necessarily doing that, we are doing it to validate and then to really then go through and look at the history and all those things and then also track certain products and also what we look for. But to get started like Chris said the touch list is so underrated. It’s like to me this new brand was built off of a touch list. And it’s funny, I don’t know if you asked me the other day or maybe it was my wife, I forget now but we were talking about the new brand and actually how the idea was discovered. It might even have been my daughter that was visiting so it was funny and it was like… No it actually came from something that my wife was using and then got talking to a friend and then that’s how it became what it is and then they came to me and said, “Hey can we get into this market?” And then I started digging in and I said, “Yeah we probably could.” So that’s how, it was not found by just going out there and having a tool put it on a platter for us and serve it to us. So that’s what we are going to be talking about in the first part you are not going to want to miss that part. But what I want to do here today Chris really is to give people that framework but the touch list is a great one to start at and again like Chris said, grab your notebook, your pad, your pen and just start writing down things that you touch on a daily basis. You’ll be so surprised. [00:08:05] Scott: I also share this in one of our workshops where I talk about the Jeep story. I actually found, and you did this something very similar Chris but you can share that story here in a second but I was going to look for a new Jeep and from there I discovered a market that I was not even aware of this cult in a sense of these jeep owners and they have meet-ups, they have all this stuff and some are off roaders, some are just for show, all these different things and I didn’t realize that there was this raving fan base in this market. And then I started digging in and I’m like, “If I wanted to I can go into that market.” But I did not find that market by looking at a tool necessarily. I use tools to validate that the products or the market was worth going into. So Chris explain what happened to you when you were moving. [00:08:52] Chris: Well it was actually after I moved and like most of us I was lazy I had a room in my house as a guest room and I hadn’t had any guests since I moved in for about six months and I finally had my business partner Joe flying into town. You guys may or may not have heard Joe. He’s been on the podcast for a couple of times and he’s done a couple of Facebook Lives with us. He’s a good dude if you want to get to know him but he was flying into town to do some of our quarterly planning and I decided I should probably like have a bed for him instead of forcing him to room in a hotel room. So I started moving the boxes around and putting the bedroom furniture together and all that happy stuff and found that I was missing a piece so one of the pieces of furniture and went on Amazon and looked and sure enough there were hundreds of units of what I was looking for selling a month. And there were six or eight products that we could have launched as a brand on the backend of that that were complementary that were also selling hundreds of units a month. And it was just one of those things that I never… A tool never would have found out without some really weird criteria and it was something that I happened to touch that day and had a need for and Scott to be honest the reason I even looked at it is just because we are in this space and I was like, “I wonder.” And that’s where a lot of these things start. There is going to be a lot of things that you touch a lot on daily basis that you might not put down on something like a touch list but if you write everything down you are going to find a few things out of that. And if I wouldn’t have thought to look I never would have discovered that market and we never would have been able to talk about it. It’s just one of those things where you are like, “There is no way that this sells well but if I need it maybe other people need it too.” And one of the things and one of the reasons you and I like getting started on Amazon is because you can validate that there is depth and demand on this products. [00:10:38] Scott: Yeah absolutely and guys like I said we are going to go through all five steps. We are just scratching the surface on this first step really we are going to dig really deep into the next podcast episode so definitely check that out. Again we go through this in great detail on the workshop all the way through. Let me cover what we are going to be talking about in this series. 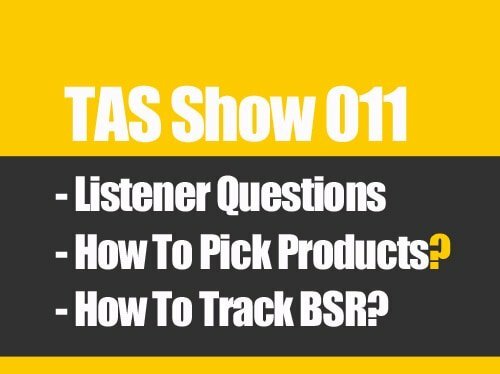 So the first part is really how to find and validate products and markets which we are talking about right now but we are going to dig into more stuff in the next podcast but also some additional stories and stuff. And I know Chris we just actually possibly found another new product not by looking at a tool but by your mother and something that she was buying at an art festival of some kind so it was you brought that to my attention. I’m like, “Oh wow pretty unique, pretty awesome maybe we could sell it.” That’s that so we are going to be going into how to find and validate products and markets. I want to highlight that. We are not just talking about products, we are talking about markets that are buying products a big, big thing there to make sure that you are aware of guys. We are looking at products that serve markets. And I always go back to, go off a little bit of a side note here, I look at magazines like this. If you are looking at a magazine they are catering towards a market. There’s products in that magazine that are being served to that market so just think about it that way. The next thing we are going to be talking about in another podcast episode that will follow the first one which we are going to be talking about finding and validating products is how to source. And there is a lot of lessons that we’ve learned through the few years that we’ve been doing this just from making mistakes and then almost costing us a lot of money. I just did a podcast episode where our source, our agent actually because we’ve created a really great relationship saved us thousands of dollars on a potential product that could have been bad. And we are going to talk about all of that, where to find your products, all of that so again a lot of people think you just go to Ali Baba, Ali express and that’s not the case and we are going to talk all about that and really what you need to understand when going through that phase. [00:12:45] Scott: Again these are the five steps, the five phases as we call them. The next thing will be how to prepare for your launch because we want to get everything ready. We want to get our listing optimized but we also want to get ourselves ready to start getting sales so we can start to push the algorithm and start getting ranked inside of Amazon. The next thing is we are going to talk about how to launch. That will be in the next part of the series and then from there how to promote and grow. So that’s everything we are going to be talking about. We are going to be doing this through this five part series. I say five part it might be six part but right now it’s five steps so that’s what we are going to be doing. Now one of the things that I wanted to cover here Chris and I think it’s really important for people is why Amazon? Why would we start on Amazon? I have a list here, I want to hear you ramble your top of mind. Why would you pick Amazon versus just starting on your own website? [00:13:38] Chris: That’s a loaded question because you know my background and know you that in my background I used to start with my own website and you’ve done a lot of that too. And I mentioned another one a minute ago but the first is it’s so much easier. It’s so much easier than building your own website. You don’t need to know how to code, if you can write an English sentence you can create an Amazon product listing. Might not always feel like that but that’s really what it comes down to. Amazon takes care of driving the traffic, they take care of collecting the payments, they take care of all of the traffic and the technological issues and all of those things. All you have to do is find a product and plug it in. First of all there is not really anything new under the sun it’s just a little bit of a twist and if you are creating something brand new that has never existed before I would generally advise you not to do that unless have some substantial reason to think that there is market demand there. But Amazon really is able to show us of there is demand for a product and we do that through some of the validation that we are going to talk about in the first phase of all of this stuff. And we do a lot of demand validation. We know that if it sells on Amazon that it’s going to sell well for us down the road in future off Amazon as well. [00:15:35] Scott: Yeah exactly from school in the snow. If we were starting this new brand that we have done now in seven months and we are at $160,000 in revenue right now and we are probably around 35% to 40% margin right now and that’s going to get better because our sourcing is going to get a little better and our shipping is going to get a little better and all that stuff but right now we are at a pretty good place. We know we are there but from your experience Chris and I’m even using my own experience, if I decided to start a website to sell, even if I was going to private label on my own website, I’d have to go out there, create the website, I’d have to figure out my merchant how I was going to get it fulfilled, I would have to see if I was going to fulfill it myself or I was going to have a third party fulfill it. I would have to do my customer service, I would have to do all that, I’d have to find out where I can get my traffic, I would have to drive my own traffic to my product listing on my website, all that. I’d have to figure out the hosting of my website, all that I would have to figure out. I would almost bet right now we would not be at $160,000 revenue. Do you think we would Chris? [00:16:45] Chris: I will agree with that. [00:16:46] Scott: I mean there’s a chance but if we did, it would be a lot more work and to me, now let’s we say that we did all of that and we didn’t, let’s say we got to $20,000. Okay still we’ve gotten some sales, we are starting to see what traffic’s converting, we are doing a lot of testing but at that point you’ve spent seven months to figure out maybe this is not the market or the products that we want to do. Now we’ve got to start over again and in another seven months. We knew this pretty much in the first four to six weeks if we were going to keep this first product or not. Well you are guessing that it’s going to sell unless you’ve done some research into markets and seeing that other products are selling on other platforms maybe it’s another platform. But we are not guessing, we are looking at numbers that are being generated through a platform so we have a pretty good chance of knowing them. Number three, we get to read the reviews and create better products. A lot of people don’t realize that’s a huge advantage whether you are selling on Amazon or not we are able to dig in to real people people’s reviews. Now some people say, “Some are fake.” Well don’t look at the fake ones, look at the one star, two star, three star. Look at those that are giving you criticism or critiquing the product and then you can figure out how to make it better. [00:18:46] Scott: Number four is traffic. They give us their traffic over 240 million credit cards on file. That’s probably higher now but that’s the last time I checked and we are talking people that have Prime that are ready to buy one click sale. So that’s traffic and then from there they allow us with their traffic we get to rank, we get to get eyeballs on our products pretty quickly too by the way and I didn’t even mention sponsored product ads and pay-per-click. That’s part of the traffic, that’s traffic that we can buy. And then number five is the merchant account. We don’t have to create the merchant account they do it for us. We just have to have a checking account attach it to it boom we are ready for sales. Six, fulfillment. They do the fulfillment if we want them to and then seven customer service. They do customer service as far as refunds, they’ll do if you have a problem with a product taking too long, they’ll take it. Of course that can come to us and we can also handle it but they’ll take care of that for us. And then the last thing I put on my little list here number eight here is no hosting. We can set up a little webpage on their gigantic platform and start getting traffic for pretty much $39 a month. Even if we didn’t want to do that we can do it for free we just would pay more per sale but for a pro account it’s like $40 a month. No hosting Chris. Did I hit a lot of them there Chris? [00:20:08] Chris: You did and I think you actually lined out some of the stuff that I was talking about. It’s just so much easier to get started and they account for half of all sales online or something at this point in the US. It’s where you want to start, it’s where you want to validate and that for me is the long and the short of it. It’s absolutely the place to get started. You should at some point look outside of Amazon but for the most part you are going to want to get started there because if you can get to work there, you can let that finance and bankroll everything else that you want to try and do. So it always comes down to validating before you actually go all in and Amazon allows us to do that very quickly. Now the question that I get a lot is, “Okay Scott that’s great and all. You are a big promoter of Amazon currently,” and I am, “But is that where you are going to build your entire business?” And the answer is no that is not the case but we have to get this part done first. That’s why I’m doing this series. This is also the reason why we do our workshops because our workshops take all of this and really bring it into a ninety minute window. We condense it all down exactly what we are doing here in the series and again I wanted to lay this out for you guys because I believe this is the most critical part of the process because if we get through this part, number one you’ve learned a ton whether that product is a base hit, a double or a homerun or a failure. [00:22:40] Scott: Maybe there is going to be a new channel that comes out that’s like eBay and it’s not here yet then can take your business and pretty much launch it on that platform or another marketplace. It could be the UK, it could be Germany, but right now do not overwhelm yourself with everything you can do or you could do. Go through these five phases and launch a product, period. That’s why I decided to do the five step roadmap series because we have went back, retraced our steps and a lot of our students, a lot of our listeners of the podcast and the people that have successfully launched products have followed for the most part these five steps and that’s why I decided to do that. Chris before we wrap up this overview and we get people ready for the next episode which will be coming very soon, is there anything that you wanted to add to this overview of the series before we wrap this up? [00:23:38] Chris: I think you nailed it though. The moral of the story is just get started. What we are going to be doing over the next episodes is laying out the steps that we use, the steps that successful sellers use and they are going to be the new and updated ones if you guys are listening to this. At least relatively close to when this comes out. We went back through all of this stuff that we’ve been teaching, all of the stuff is going to be up to date and it’s going to be relevant and yes we are going back to some basics here but it cannot hurt you even if you launched seven, eight, ten, a hundred products go back to the basics with us, make sure you are not missing anything because Scott even you and I mess up. We messed up in the new brand with a product or two because we didn’t follow the stinking roadmap and as soon as you look back you go like, “Okay we fudged this number a little bit because we wanted to make it fit.” Come back, listen to it with us even the people who have been selling for a long time can still make mistakes so it’s absolutely worth giving these next few episodes a listen. [00:24:35] Scott: Yeah and it really does come down to updating and seeing where you were, what you do differently now than what you did before and really we started this new brand for a bunch of different reasons. Number one we love launching businesses. We love taking what we are learning and applying it and it just happened that we partnered with someone and Chris and I now are partnered up inside of this brand which makes it really a lot of fun. And I always look at gamifying things. To me it’s a game in a sense. What’s the next move? Let’s do that move and then see what happens. Well we did it worked, we did it didn’t work let’s not do that again or let’s tweak this, let’s try this instead of that. That’s to me the fun of it and in the meantime you are also building a skill set through this process and that skill set you can take and you can apply it now or in the future and that’s why for us in the past in the pre-launch phase we would have been talking about how do we get our first 50 reviews, how do we get our first 75 reviews? And we would have been talking about that. We might have even been talking about a review group back then. Right now we are not doing that. We are finding products that don’t require you to go out there and have to find hundreds of reviews. We are finding products that are less competitive but are still getting our ten by ten by one. If you guys do not know what the ten by ten by one is you will know what that is when we get rocking and rolling here in this first part of the series as far as product research because that’s what we do. We follow this very simple formula in a sense and then from there we just go forward with that in mind when we are launching these different products. We are not going after products that can do 100 units per day which to me that is a big mistake that a lot of people especially new sellers are going after and for whatever reason maybe they are listening to people out there in a space that are saying you should do that. [00:26:35] Scott: Well if that’s the case then you have to go and follow that person or that strategy but just keep in mind that it is going to be a lot harder and to me if you can find five products that are doing our ten by ten by one you’ve got a pretty sizeable business and to me it’s a lot easier. So that’s what we are going to be covering, I’m super, super excited about this, I’ve been wanting to do this now for about two months, we are finally going to do it. So if you guys want to download the show notes, the transcripts to this episode head over to theamazingseller.com/440. And then from there if you want to register for one of our upcoming workshops where Chris and I will be on there we are going to break down all five phases in one session and we are going to be doing Q & A there as well so you can definitely register for that if you are interested at all but we will be going through these five steps in this roadmap over the new few episodes. So that’s pretty much going to wrap up this overview of the five step roadmap. We will see you in the rest of the series and as always remember I’m here for you, I believe in you and I am rooting for you but you have to, you have to… Come on say it with me, say it loud, say it proud, “Take action.” Have an awesome, amazing day and I’ll see you right back here on the next episode.